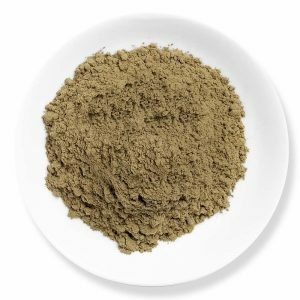 As per the suggestion made by our customer, this Green Maeng da Kratom is made of 22% white and 78% green Kratom powder. Our farmers had given importance to the potency. Using of this Green vein Maeng Da would even make the normal Kratom users to its side. We ensure you with the best Kratom of high-quality and the taste that you have ever experienced with any other. Green Maeng Da will speak out the best products of us. Green Maeng Da is the best I could say. I love this product and here I can buy it for low price. Hi Kay, Last night I received your package. I am really happy that I got it before the expected date. Took some today with orange juice. Its effects are true and good but the only thing is I hate that bitter taste and the smell of dried leaf powder. Other than that, this Maeng da Green is so good. A very good product except for the extreme bitter taste. I initially had an issue with the discounts but I am glad that it was resolved then and there. Didn’t work with me as a tea. I had to throw up many times. Not the best product for tea!! My Kratom experience can’t get intense than this. Wonderful product and service!! The return policy is an advantage along with the lightning fast shipping process. The product has arrived. Yet to try!! To be frank, I did experience nausea initially but then it gets better with time and doses. Overall, a pleasant experience for the price. Glad to have found you guys!! Great relaxing features folks. Works great with my tea. Highly recommended strain. Not really impressed with other strains. But this one is just out of the world. Definitely, the best of white strains. You guys certainly have a trick up your sleeve. Impressed!! Could have been a bit better. I have actually ordered five times with Kaybotanicals, and I have had issues on all the four instances. But I must really appreciate them for making up for all those issues. I will still keep purchasing at Kaybotanicals for the only reason that they take ownership of their mistakes and try to rectify it without any hesitation. Great gesture, but I wish I face no problems in the future. This one is just like the regular Maeng Da that I have tried at other shops. But then something is different, I don’t know. Maybe you will have to see it for yourself. I haven’t really tried the product still but am so happy that I received my order in no time. Will post further reviews after trying out this batch. Thank you guys!! Got rid of all my pain related worries. Made my day!! 4.91 / 5 based on 2965 ratings.